One of the most popular problems is that Woocommerce email notifications are not getting sent. Support agents from all over the world received tons of requests from clients about this issue. For some reason, customers were not receiving notifications of their orders. Site owner may be the one not getting notifications, or WooCommerce may not be sending email notifications at all. Let’s discuss common problems that prevent your WooCommerce Plugin from sending emails, and how to resolve them. There are several reasons of this problem. Some of them can be resolved immediately. “Email sender options” and “Individual notification emails” are the most major things that should be checked while dealing with WooCommerce Email settings. Fill out “From ” name & “From” address fields and save changes. Next you have to make sure your notification emails are set up correctly. Check to see if the email is enabled. If it is not, enable it. Check the recipient email address and ensure it is entered correctly. 2. Occasionally, emails may go to Spam Folder. To resolve this, you should contact your web host, explain the problem to them and try to see if they can fix it. 3. Use an email with a different domain as your recipient address. In some cases, your customers are getting notifications for their orders as expected, but you are not getting notifications of customer activities. Sender email is example@test.com and recipient is person@test.com. Both emails are on the same domain. The easiest solution for this is to use an email with a different domain as your recipient email. 4. Use sided SMTP Plugin. If you still have issues with WooCommerce email notifications, most likely, the real reason is in email server on your web host. Optimal solution, would be to install and activate SMTP plugin. WooCommerce sends emails with the wp_mail() WordPress function. 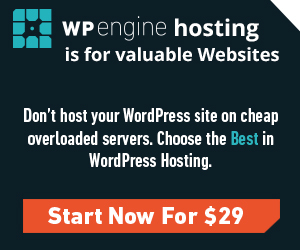 WordPress calls on PHP to send the email, and PHP calls on the server in your webhost.